Added workers must have signed the SWMS Form before being submitted. 2. 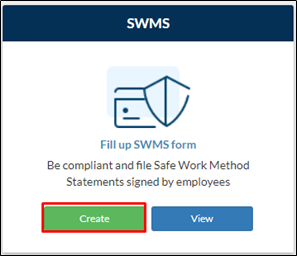 Once the SWMS Tasks and Inducted Workers are accomplished, click Next. 4. This section will show you the workers selected. Click View Signature on a worker to show a field where the worker can sign. 5. Sign in the field. Note: You can clear the sign by clicking the Clear Signature below the Sign field.